VU is a leader in sport education. In our Sport Science (Human Movement) and Sport Management degree, you’ll develop high-level expertise in human movement, exercise supervision, physical recreation programming, and sport management. We have over 200 partnerships with sport venues, sporting clubs, local government authorities, and public-health and education groups. Through these partnerships, you’ll learn from the best, and gain invaluable work experience. You’ll graduate job-ready to work in many areas of sport and fitness. You’ll have the skills and knowledge to manage major sporting events, sporting facilities, aquatic and recreation centres, professional sport organisations, and gyms. consulting and research in sport participation. We have over 200 partnerships and affiliations with peak sporting bodies, professional and community sporting clubs, and public-health and education groups. Partner organisations offer work placements and contacts within the industry. Make use of our high-tech facilities, including biomechanics, biochemistry, and exercise physiology labs, and our Altitude Hotel. Sports coaches, instructors and officials earn, on average, A$60,800 (JobOutlook). Sports administrators earn, on average, A$74,800 (JobOutlook). 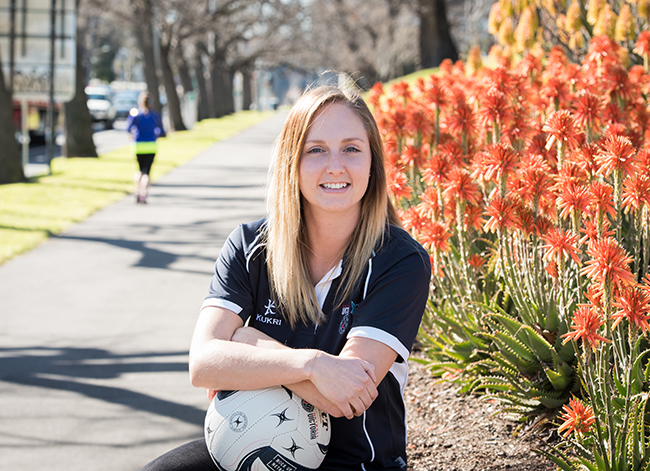 Elise Wiggins worked hard to get into VU, citing its sporting facilities and industry partnerships as major draw cards. 8. Contribute to the organisation and delivery of sport, exercise, and active recreation programs with personal accountability, integrity, and social responsibility for outcomes, and do it through dynamic 21st Century work-teams that use resources efficiently, provide high levels of participant satisfaction, and deliver widespread social utility. You will be credited for up to 72 credit points of study.